From the moment an individual is conceived in his mother’s womb, until his death and beyond, angels play an integral part in human life. Angels bring forth the soul of the dying and they bring comfort or inflict torment in the grave. 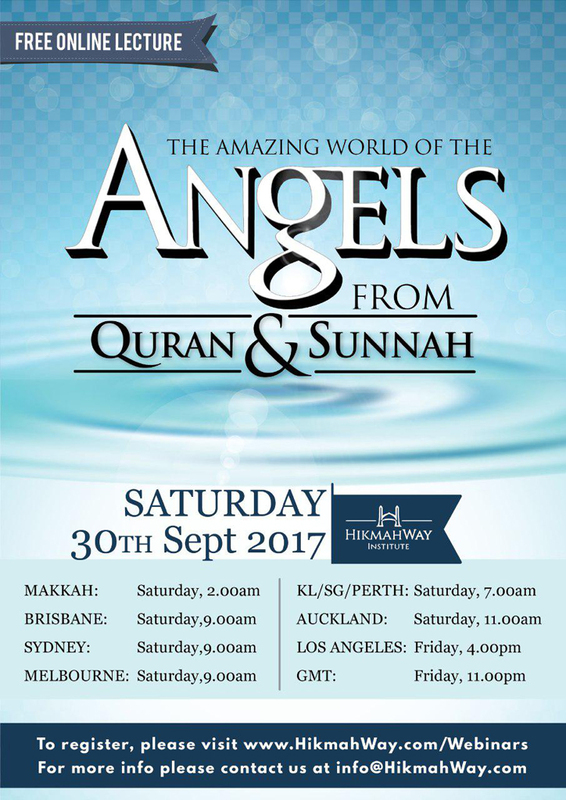 An angel will sound the Trumpet on the Last Day, and angels will be present on the Day of Judgment until they accompany people to their ultimate destination in Paradise or Hell. 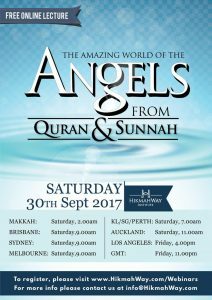 Unravel the world of the Angels by joining our webinar on 30th September 2017. The nature of the Angels and their status.